Incoming House Speaker Nancy Pelosi (D., Calif.) said in an interview with the New York Times that the Constitution considers her to be President Donald Trump's equal. Pelosi is set to regain the speaker's gavel after spending eight years as House minority leader. Pelosi was the first female speaker of the House from 2007 to 2011, and she maneuvered to get the party's votes necessary to secure the speakership again after Democrats won back the chamber in the November midterms. 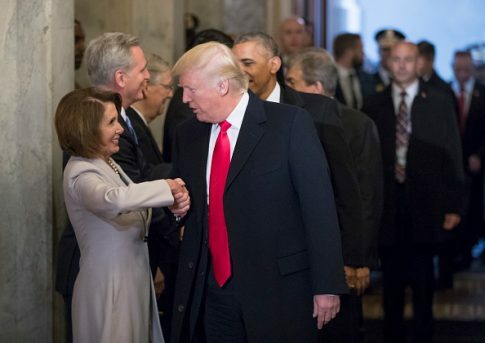 In a piece with a headline declaring her an "icon of female power," Pelosi was asked by the reporter "if she considers herself Mr. Trump's equal." "The Constitution does," she replied.